Wat is dit voor site? Wij zoeken de goedkoopste boeken op internet. Robert E. Lee at Warvonden we het goedkoopst op Bol.com voor €39.03. We hebben gezocht in nieuwe en tweedehands boeken. Rechtsonderaan de pagina kan je het boek direct bestellen	via Bol	.com. Robert E. Lee at War is a multi-volume study sure to become an indispensable account of Lee's war years. The focus of the series is to evaluate, as never done before, Lee's tenure as army commander, and to capture him as never before through ground-breaking analysis and contextualization. 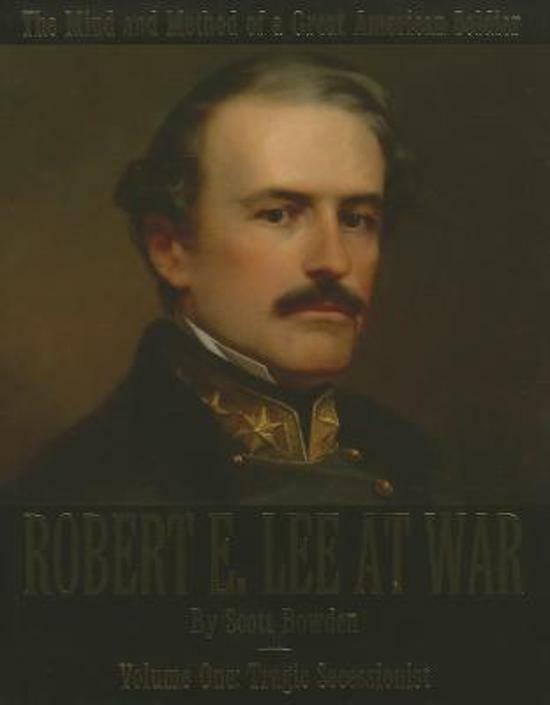 As a result, Robert E. Lee at War presents a fresh and compelling portrait of the true warrior that is sure to illuminate his legacy for generations to come. About the Author Scott Bowden is a graduate of Texas Christian University and the award-winning author of numerous books on Napoleonic and American Civil War Military History.